There are a few culinary truths I hold near and dear to my heart. You shouldn’t wrap cheese in plastic, drinking the milk of cockroaches is totally gross, and you should stop cooking your avocados, like, ASAP. Lately, it seems like everywhere I go there’s some form of cooked avocado on the menu. Whether it’s avocado fries, eggs baked in avocado halves, or slimy avocado slices oozing out of grilled cheese, the madness has got to stop. I must admit that even I have fallen into the trap of cooking perfectly good avocados. My friend has an overly abundant avocado tree and sent me home with a basket of them one day. I never grew tired of eating them in guac, on toast or sliced over salads, but considering I had so many, I thought I might experiment. I put some chopped avocado into a batch of enchiladas, excited to see how their creaminess would add to the dish. So imagine my surprise and disappointment when I took my first bite, my tongue immediately recoiling at the slimy green avocado within. It was the first time I ever thought to myself that maybe avocado doesn’t make every dish better. Have you ever tasted cooked avocado and raw avocado side-by-side? The hot avocado is pasty and slimy, its cool creaminess totally lost. The flavor is akin to chewing on some pine needles. It’s like a totally different fruit! And I can’t think of any instance when these dishes wouldn’t be better with a side of raw avocado. Craving fries? Instead of battering and frying wedges of avocado, serve regular fries with a side of guac for dipping. Want avocado at breakfast? Avocado toast is a trend for a reason, people! There are a couple of exceptions to my self-imposed rule. Avocados do work surprisingly well when mashed or puréed and added to baked goods as a heart-healthy replacement for butter or oil. There’s so much sugar and so many other ingredients in those recipes that the bitter flavor disappears, and because it’s blended, it integrates with the other ingredients and doesn’t get slimy. It’s also tasty when blended up with garlic and herbs to make a creamy sauce for pasta. Since you’re tossing the avocado mixture with cooked pasta rather than heating it directly, it doesn’t develop those same off flavors that can easily ruin a meal. There are some things best left as nature intended. 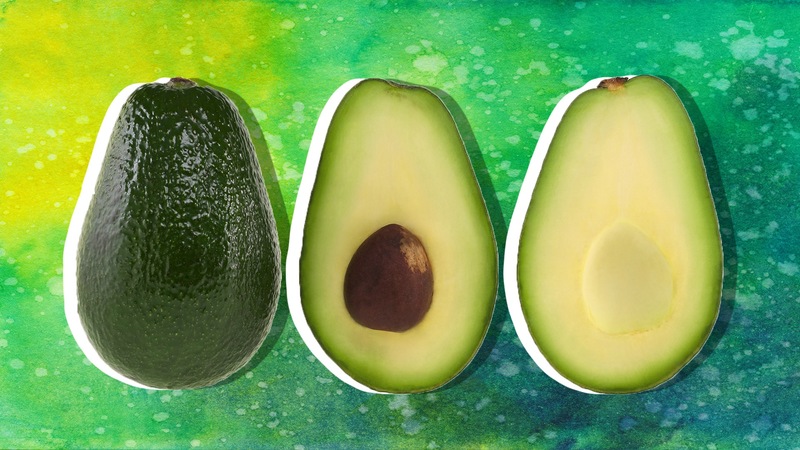 Cool and creamy avocados, with their silky, rich texture and light vegetal flavor, are definitely one of them. So the next time you feel the craving hit, keep the oven off and just dig in with a spoon the way nature intended. Your taste buds will definitely thank you.